Staff recommendation: Sergeant PJ Collins is under-worked and over-fed in his quiet village of Duneen. One day a body is unearthed during building work, attracting a flashy detective from Cork and putting PJ under pressure.A shameful street brawl twenty years ago, a man’s disappearance soon after, three sisters bound together by grief, a marriage hanging by a thread: what do these have to do with the body? As the attention of the village falls on PJ, will he be able to untangle the rumours from the facts? This is a hugely enjoyable and humane novel that shows Norton revelling in his Irish upbringing and expressing its quirks with affection. The idiosyncratic but believable characters show Norton’s empathy for Duneen’s inhabitants, their lives shaped by family, Church and community, their grief and guilt disguised. 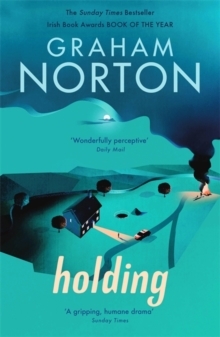 Norton’s keen eye for the ridiculous balances the poignancy of his tale, and his writing is irresistible.